Every new Huda Beauty arrival is more dazzling than the last – and this dreamy metallic lipstick is certainly no exception… The smooth, satin formula grants a gleaming, high-shine finish that’s intensely pigmented and long-lasting (nothing less than we’d expect from this Cult classic brand). It comes in three show-stopping shades – blue and silver-infused magenta ‘Cake Day’, daring purple infused with blue ‘After Party’ and dramatic red with vampy undertones and sparkling flecks of gold and red ‘NYE’. Looking for a dazzling new lip look? Huda Beauty has outdone itself (again!) and blessed the beauty world with this show-stopping Power Bullet Metallic Lipstick. With a satin-smooth formula that’s enhanced with delicate flecks of glimmering glitter, the formula creates a seamless metallic finish that you’ll swiftly fall head over heels for. Long-wearing, intensely pigmented and non-drying, it’s everything you’d expect from this Cult classic brand. There are three heavenly hues to choose from: dazzling magenta pink infused with blue and silver glitter ‘Cake Day’, daring purple bursting with iridescent berry, blue and silver glitter ‘After Party’ and, last but certainly not least, ‘NYE’, a dramatic red with vampy undertones and sparkling flecks of gold and red glitter. Apply to lips straight from the bullet. Get set to smoulder. Rich color, finally a warm metal shade!!! Long lasting, creamy and lip plumping and not leaving dry lips. Nowhere near as glittery as the pictures and reviewers on Instagram show, unpleasant scent, takes a few swipes to get full, consistent coverage which, due to the nature of the product, makes application quite messy and difficult. 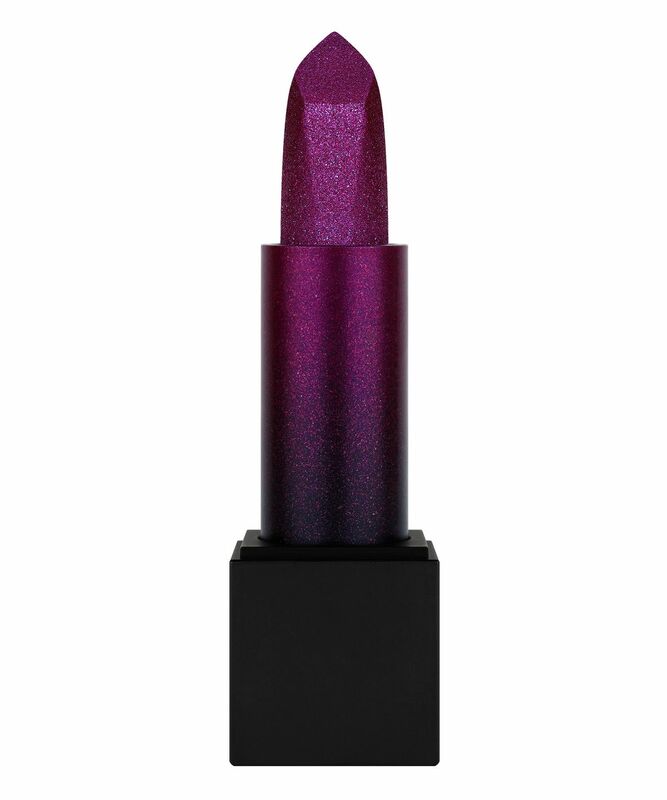 This lipstick is gorgeous pigment is great and has great staying power, would highly recommend, definitely a statement lip when you wear this.